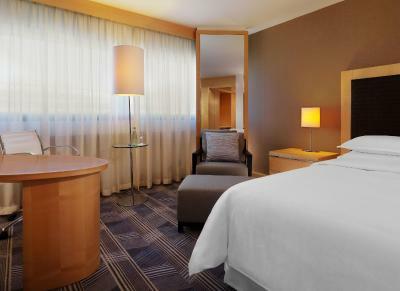 Lock in a great price for Sheraton Frankfurt Airport Hotel & Conference Center – rated 8.3 by recent guests! The comfortable room as per Sheraton standards. I liked the location because I was next to the airport and railway station. Staff was extremely friendly and helpful. Onsite Taverne restaurant very good. The room was so clean, TV channels was in different languages and the location so close to the airport. Off the train at the hotel and at the airport. So convenient. It is great location if you want to be next to the airport. And the bell boy sent our bags all the way to the check in which was amazing. Location can't be beat, it is right out of the airport train station and connects directly to the Frankfurt airport terminal. Previously I was unable to afford this location but this time got a good rate for my overnight stay. It is soo convenient for checking for a flight, if you have to travel a long way to get to the Frankfurt airport. Super friendly staff with smiles all around. I got an upgrade to an executive room, and when I asked why the receptionist (Jessica) said it was because I looked like a nice guy. Simply put, these people go through hoops to make you feel welcome. The food at the Flavours restaurant was great, with an amazing selection of top quality beef and a decent wine menu. 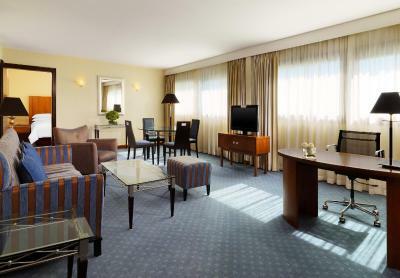 Sheraton Frankfurt Airport Hotel & Conference Center This rating is a reflection of how the property compares to the industry standard when it comes to price, facilities and services available. It's based on a self-evaluation by the property. Use this rating to help choose your stay! 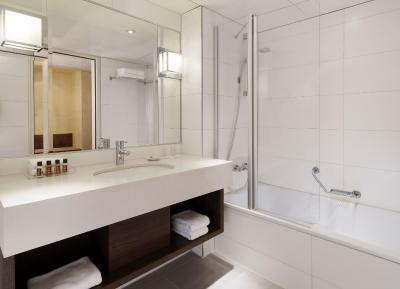 One of our top picks in Frankfurt.This nonsmoking hotel is directly connected to Frankfurt Airport’s Terminal 1. It offers soundproofed rooms, stylish spa and fitness facilities, and 2 à la carte restaurants. Free WiFi is provided in the lobby. 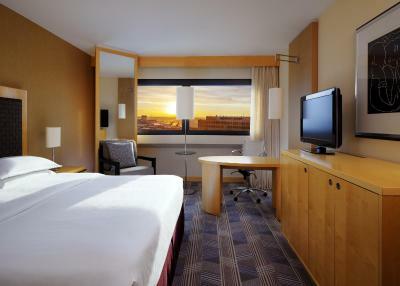 The modern rooms at the Sheraton Frankfurt Airport Hotel & Conference Center feature a flat-screen TV and maple-wood furniture. The Sheraton Fitness area includes modern saunas and steam rooms. Massages and beauty treatments are available. The lobby area offers computer terminals and a flat-screen TV. German specialties are served in the Frankfurt Airport Sheraton’s Taverne restaurant. The Flavors restaurant prepares European and Asian dishes. The Sports bar shows live sports events and the Davidoff Lounge is the only smokers bar at Frankfurt Airport. 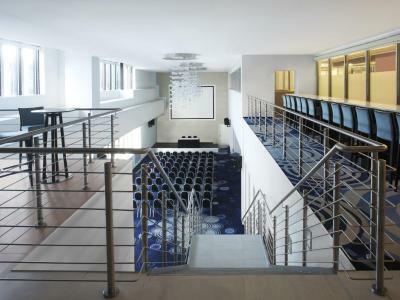 When would you like to stay at Sheraton Frankfurt Airport Hotel & Conference Center? This double room has a soundproofing, flat-screen TV and mini-bar. This family room has a seating area, air conditioning and soundproofing. This double room features a seating area, mini-bar and flat-screen TV. This family room has a mini-bar, bathrobe and soundproofing. This double room has a flat-screen TV, mini-bar and seating area. House Rules Sheraton Frankfurt Airport Hotel & Conference Center takes special requests – add in the next step! Sheraton Frankfurt Airport Hotel &amp; Conference Center accepts these cards and reserves the right to temporarily hold an amount prior to arrival. Sheraton Frankfurt Airport Hotel & Conference Center accepts these cards and reserves the right to temporarily hold an amount prior to arrival. Guests booking on behalf of someone else should contact the hotel directly to arrange third party billing. All contact details can be found on the reservation confirmation. Please note that use of the Business Centre is free for the first 30 minutes. Charges apply thereafter. The staff at the restaurant were extremely good at avoiding contact with clients. I had supper and breakfast at the restaurant called flavours and both times we were poorly served. They were obviously short staffed and so didn’t bother to inform us as to why our food took so long to come, our used plates were on our table a long time - waiters wizzed by us ignoring our signs to attract their attention. In the morning, we were shown to our seats, never offered orange juice and coffee. I found out where the espresso machine was and got up to make my own double espresso. I really felt I was disturbing them when I asked for the bill. Extremely surprising for a Sheraton- awful actually. The check in was long and laborious. The room was cold the WiFi was slow and the T.V. didn't work. The food in the restaurant was excellent and location was ideal for the airport. Wifi in the rooms is charged. Location is perfect for an early morning flight. Coffee on the lobby early in the morning. I didn’t like how a charge for breakfast is automatically added on, especially when my flight was so early that I couldn’t even have breakfast. I basically paid for something I didn’t get. Just across the street from T1 of the airport. Take the bridge from the second floor of the arrival hall to get to the lobby. Overall the good Sheraton level. Nothing bad, nothing good. Very convenient if you have early flight. Booking site said “VAT included.” It was not included in the price, but added on. Not a big deal, but certainly misleading. 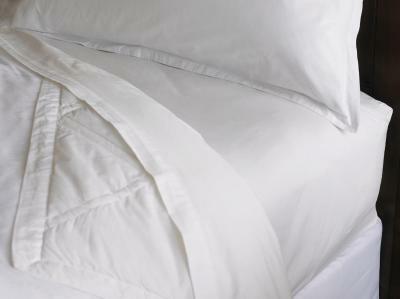 Very good bed. Very good breakfast.